Left of Center Creative Challenges: 1st Anniversary Event Day 20! 1st Anniversary Event Day 20! Wow! We are counting down now to the end of our Anniversary Event! Still plenty of time for you to get your entries in to the links above! We have a member of the Delicious Doodles Design Team on board again today! Nikki Byrne is joining us again today with this fabulous project using almost every Delicious Doodles Gravestone! Check out her blog for more details and leave her some love! The lovely Samara from the LOC Crew is also here again today! 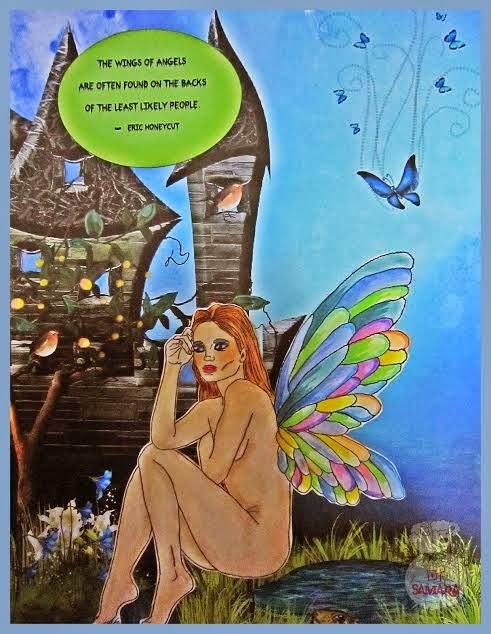 She is has used the New Fairy image from Ike's Art to create this beautiful digital art piece. Please visit Samara's blog and leave her a comment! We have another fabulous project using an Image from Rick St Dennis a regular LOC Sponsor. 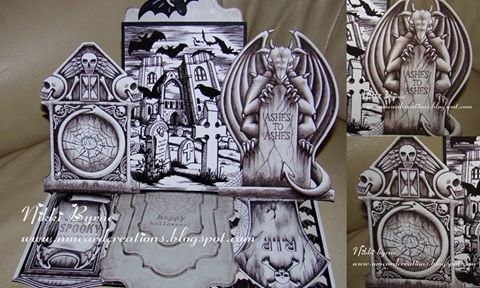 We are delighted that Monique could join us today with this amazing Art Journal Page using the image Vampyr Masquerade. I think it's fabulous and I hope you can all join her at her blog today to let her know what you think! We are into the home straight and still have many more fabulous inspirational projects to show you so make sure you pop in again tomorrow! Wow...awesome artwork on display today. Nikki, it must have taken you days to create your easel card. Samara, great digital work! 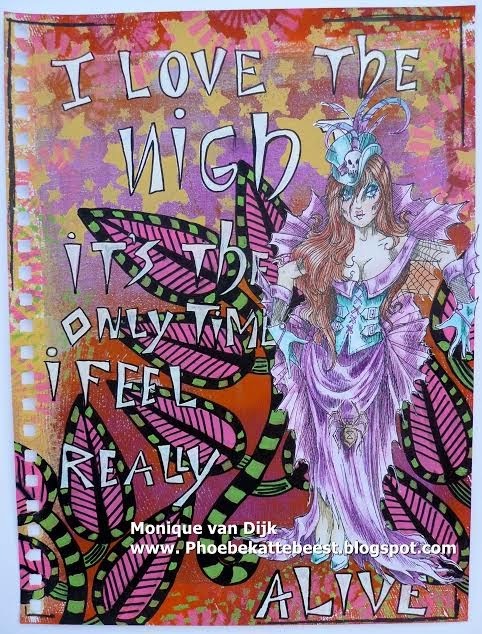 Monique, what a cool journal page. Love your layers and coloring!